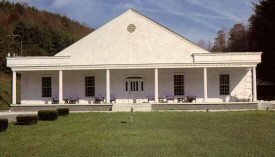 The Lakes Funeral Home began March 10, 1961 in McKee, KY in Jackson County, when Bart J. Lakes and his son Manuel Lakes took over the ownership of the Baker Funeral Home. Manuel was followed closed behind by his two brothers Murrell Lakes and Melvin (Blue) Lakes and they marked the second generation in "Family Service". Manuel sold the business in McKee to his brother Murrell and moved to Berea. Their brother Melvin (Blue) Lakes and Conley Tyra are the current owners of the Lakes Funeral Home in McKee. 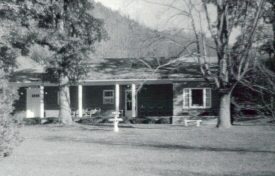 The original funeral home was started in the old John Rowland house on U.S. 421 South in McKee. Over the years the original home has been replaced with a 10,000 square feet colonial style funeral home with two large chapels to serve the people of Jackson County and surrounding area.